The age of four is a big deal for your child. At this age, he’s a pretty independent little guy. Because he’s got a more extensive vocabulary than younger kids have, it’s easier for a child at this age to pick up reading skills and master them at a faster rate. It’s a great age to start teaching a 4-year-old to read. He can do this because by the age of four, most kids understand how letters and sounds belong in words. So it’s easier for them to understand words in sentences together. He’s likely to have mastered his alphabet and how those letters and vowels sound. At this age, your child is ready to put the sounds and letters together himself to form words. He’ll catch on this part of learning to read easily and once he does, he’ll be ready to learn how to understand longer words. Then he’ll progress to be able to read both short and longer sentences with just a little prompting from you. As a parent, I’m sure you’ll be amazed by how fast your child can pick up reading skills at this age. At this age, it does not take several months to teach a child to read. 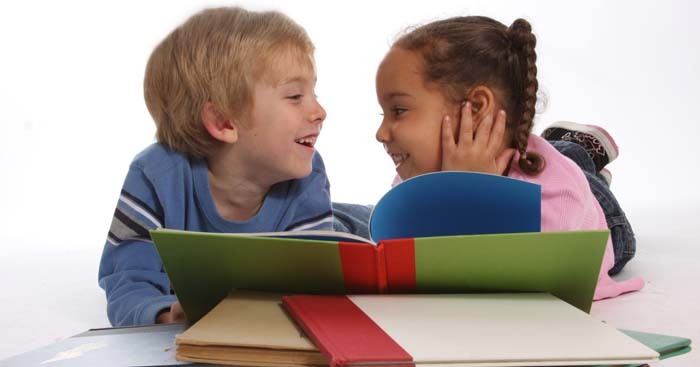 Unlike a younger child who might take a longer time to grasp the concept of the alphabet and letter sounds, a 4-year-old would have an easier time picking up reading skills. It might only takes a few weeks if you have the right reading program. However, fluency and mastering words that are outside phonetic sounds will take her a longer time to grasp. When you’re teaching your child to read, you want to make sure that you follow a consistent lesson plan. If you’re the innovative type, you can create the lesson plans yourself. If you’re not, then you can might want to spend some time in searching for an effective home reading plan to go by so that you can teach your 4 year old to read. Once you have a plan to follow that suggests which word sounds to use at what point, you can use a storyboard to help you teach your child to read. You can buy one or make one, but you need to make sure that it has pockets so that you can put words on cards into the pockets. These side by side pockets are usually in a long row so that you have room to use words together to create both short and long sentences. Alternatively, you can print out your words on sturdy and heavier paper and lay the word cards on the floor to form the sentences. Start out each sentence with a sight word such as “the”. This familiarizes your child to sight words. When she sees them over and over again, she retains them by memorizing them. Then, after you put the word the in the first pocket, next put a noun or two nouns joined by the word “and”. For example “The ball” or “The ball and the bat.” At the end of the sentence, have matching pictures affixed so that your child can associate that the sentence is talking about the object in the picture. This helps her to associate the sound with the object. This method of learning is called the word picture study. What it does is to teach kids to be able to label words even if they can’t always spell the word correctly. By introducing your 4-year-old child to new words each week, it will help to enhance her ability to learn words because it increases her vocabulary. This is one method of teaching your 4-year-old child to read. 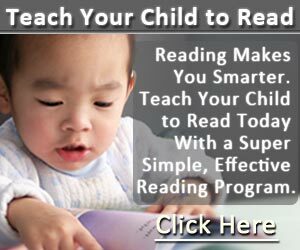 If you’re looking for a simple and very effective method in teaching your child to read, like I did with my son Kaden, you can look at this home reading program. Do you use other methods when teaching your young son or daughter to read? Share a comment below. I’d love to read about your method!